When Zenith unveiled the 10-piece limited edition Defy Lab in 2017 it was the most accurate watch in the world, regulated by a revolutionary oscillator developed by the Manufacture. Today, the watch is moving beyond it's initial test stage and is becoming the Defy Inventor, produced in a run of several hundred units and equipped with its own patented regulating organ. Like its predecessor, Defy Inventor offers superlative technical performance, a modern aesthetic, and cutting-edge materials. The heart of the watch is the single-piece Zenith Oscillator, which beats at the extremely high frequency of 18 Hz (compared to the usual 4 Hz). It has replaced the sprung balance used in mechanical watchmaking for three and a half centuries. The has a number of benefits, including increased reliability (given that it replaces the thirty or so components) and increased stability (since it is made of silicon). This innovative watch has been paired with a bold exterior, with a case carved from futuristic, lightweight materials. Zenith has used brushed titanium for the 44 mm diameter case, and space-age 'Aeronith' for the textured bezel. 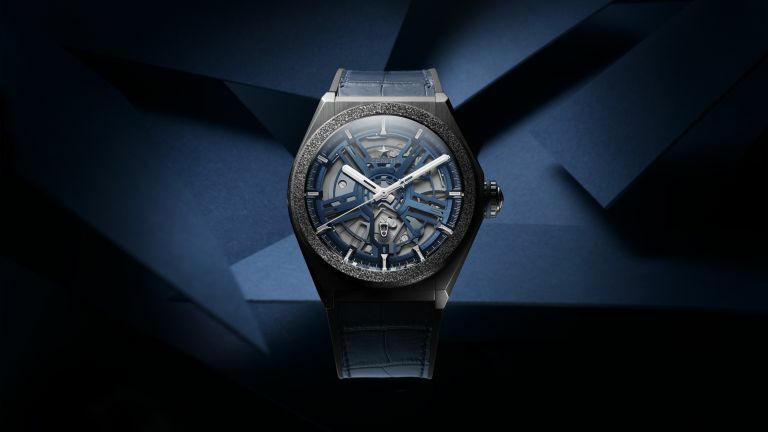 In an ultimate touch of futuristic sophistication, the Defy Inventor is secured to the wrist by a black rubber strap with a midnight blue alligator coating. If you're after something more traditional, Zenith is also celebrating its legendary 1969 El Primero chronograph with a solid gold “revival” trilogy. To mark the 50th anniversary of this watchmaking icon, Zenith has created three unisex models in white, rose or yellow gold. Each 38mm variant is limited to 50-pieces and comes with a 50-year guarantee.